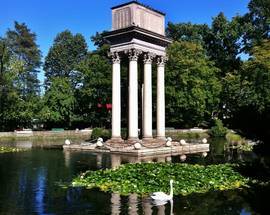 **Note that parts of the park, including Bem's Mausoleum, are currently closed for renovations until June 2019. 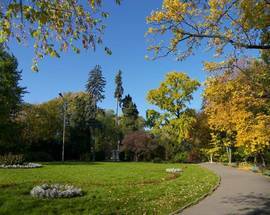 Located just north of the city centre, Strzelecki is Tarnów's oldest public park - the over 8 hectare space having been established back in 1866. 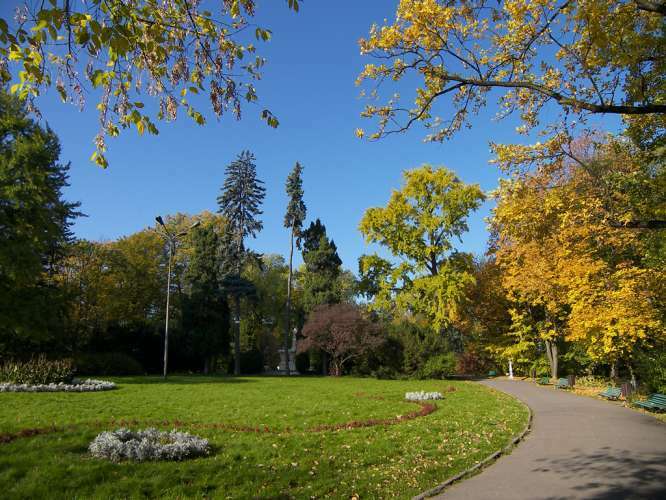 An English-style garden planted with many unique trees, bushes and perennials, this picturesque park is a wonderful place to enjoy Tarnów in warm weather. 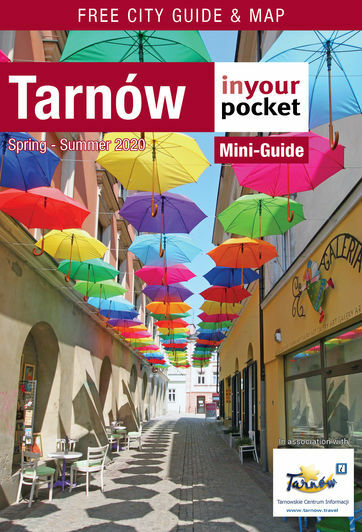 Within the grounds you'll find several interesting architectural structures, including Pałacyk Strzelecki - a 19th century neo-Gothic shooting range building adopted to host the BWA, Tarnów's best art gallery. The park's other main highlight is General Bem's mausoleum. 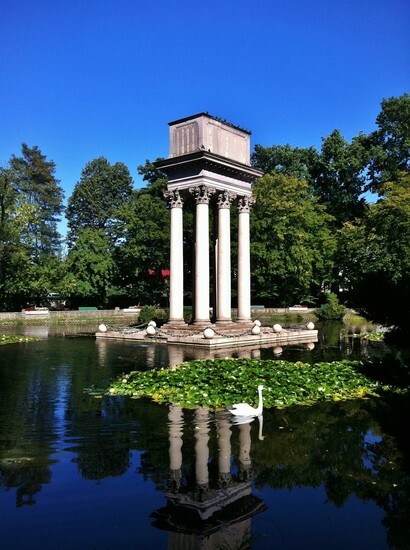 Located at the north end of the park (near a popular children's playground), Bem's unusual tomb rises out of the middle of a pond on six tall Corinthian columns, atop of which is Bem's sarcophagus - with inscriptions in Polish, Hungarian and Turkish - which has held his ashes since 1929. The pond below is home to swans and ducks and full of water lilies, making this one of the most photogenic places in Tarnów. Worth visiting.